Damp sporting equipment will support mold growth in 24-48 hours. 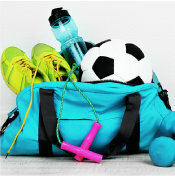 Ever wonder where that stale, sweaty smell in your sporting bag comes from? Chances are it’s from mold and fungus that’s grown on damp materials such as sports gear. Spray the affected area with Concrobium Mold Control and allow to dry thoroughly. As it dries, Concrobium will crush and kill the existing mold spores at the roots. Scrub the surface with a Concrobium-dampened cloth or brush to remove remaining mold residue. 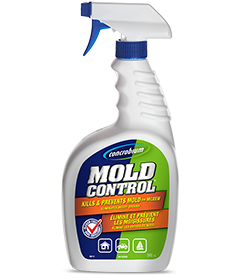 Re-apply the product, ensuring a thin layer of Concrobium Mold Control remains on the surface to prevent future mold growth.